I've been an amateur climber/mountaineer for 20 years now. I haven't been as active over the last 10 years with career and family duties, but I'm slowly getting back into it. I've found that after a decade of significantly reduced activity that its very difficult to train without hurting myself. This book doesn't really address this issue directly, but it gives a good overview of how to train in general so that you are alert and aware of the quality of your workouts so that you can make adjustments as necessary to prevent injury. It also gives you a realistic outlook on how long and gradual the training process really is. I can't do what I did in my 20's, which was basically train for a month, climb the mountain, and then let my body heal from all the damage I did in the process. I've always wondered why some mountains went better than others. After reading this book it has become very clear to me what I did right training for certain mountains and what I've done wrong on others. It's all about developing that aerobic base, but in this book it shows you how to really build that aerobic base far beyond anything I've done before by coupling the aerobic training with max strength training. I have not gotten to that part of the training program yet and I'm a little nervous about how my joints will hold up moving that type of strength training. The book definitely seems more catered to alpinists that are already in excellent shape. where someone asks this question. Scott Johnston answered the question and said that 2.5 hours was not very much and he was wondering why someone would need to exercise that little. He did say that if one were to exercise that little each week then you would not count your strength training sessions towards your training time each week. He did clarify that it's very subjective what your initial training volume should be. However, the subjectivity here becomes so overwhelming that it is extremely difficult to determine a starting point. It would be helpful if there was a little more direction for the non-professional climber. 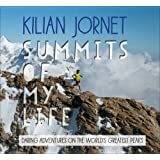 Overall though most of this book is excellent and will help assist the amateur climber to accomplish things that they once thought were only attainable when they were younger and missed the boat. For someone pushing 40 I find this book to be very encouraging as I now feel there is a way to train where my chances of getting injured are minimized. I would highly recommend this book to anyone I know that is serious about alpinism. 5.0 颗星，最多 5 颗星The definitive work on the subject. I will be honest that as a bit of a skeptic I was put off by the title from the start. 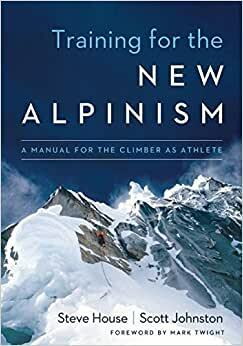 “Training for the New Alpinism” immediately brought to me a flurry of questions such as what is the new alpinisim? Was the old way wrong? Has it changed all of sudden and who gets to redefine what is new? Surely, no one would call Messner the old alpinist since so few could repeat his works. Then when I saw who had written the book I knew immediately that both of authors where in a position of authority on the topic. Steve House, who claims not to be a genetically gifted athlete, is considered by many to be one of the greatest American alpinist of our time. House has no shortage of great climbs to his name but his marquee work is “The Central Pillar” (M5 X, 5.9 WI4) on the Rupal Face of Nagat Parbat (8,126m). For his efforts he and his partner were awarded the coveted Piolet d’Or. Scott Johnston has a well-established career as a climber and World Cup cross-country skier. With his own spectacular resume of climbs in the greater ranges Johnston now coaches many of the country’s top athletes. With authorities such as these the skepticism had to be put aside for intriguing dive into the book. Much like the process of training this book requires a fair amount of discipline and commitment. It reads more like an old college science text book rather than the overly simplified light read that you might find in the pages of Climbing or Men’s Health. With a deep push into the actual physiology of the physical fitness training it may take multiple rereading of sections to really fully understand and incorporate many of the concepts. This is not a book for the half-hearted two week New Year’s resolution crowd. It is for those who are willing to ingrain themselves with commitment towards an actual long term training regime. For those who are up to the challenge what they will find is perhaps the highest level of knowledge and expertise on the topics of training as they apply to the alpine climbing world. House and Johnson drive home what seems to be a mantra of gradually building through purposeful planned training. The book is not a system or gimmick and makes clear the importance of hard work over a great period of time to achieve the optimal results. What they are attempting to do is simply educate the reader on the tried and true methods of training world class athletes and apply them to the realm of alpine climbing. While I found it sometimes overly dense in information the authors made a considerable effort to break up the pages with poignant stories of success and failures from many of the World’s top alpinists. Supporting essays from Vince Anderson, Ines Papert, Mark Twight, Caroline George and other greats athletes bring home the importance of the concepts and yet another tier of legitimacy to the book. Everything in the book including the color photography and print quality are reflective into the high level of professionalism that these men put into their work.